Spoiled vegetables, banana peels, grass clippings and dead leaves — these are the things that may first come to mind when you think of the backyard compost pile. However, a wide variety of items can be composted into nutrient-rich soil, and some of them just may take you by surprise. Anything that was once alive can be composted, according to the Cornell Waste Management Institute, which provides a variety of online resources about composting. That being said, some things take much longer to decompose than others. “I have ornamental grasses and those things just take forever [to decompose],” said Walter Nelson, horticulturist for Cornell Cooperative Extension of Monroe County. Adding items that are slow to decompose to your compost pile is fine, Nelson said, and it will decompose faster if you mix it with items that are faster to decompose. By “fire,” Nelson means nitrogen. Microorganisms such as bacteria and fungi account for most of the decomposition that takes place in a pile, and these microorganisms require water, oxygen and food in the form of nitrogen and carbon. Occasionally turning a compost pile will also speed up the process by moving around the microbes and adding much needed oxygen to the pile. 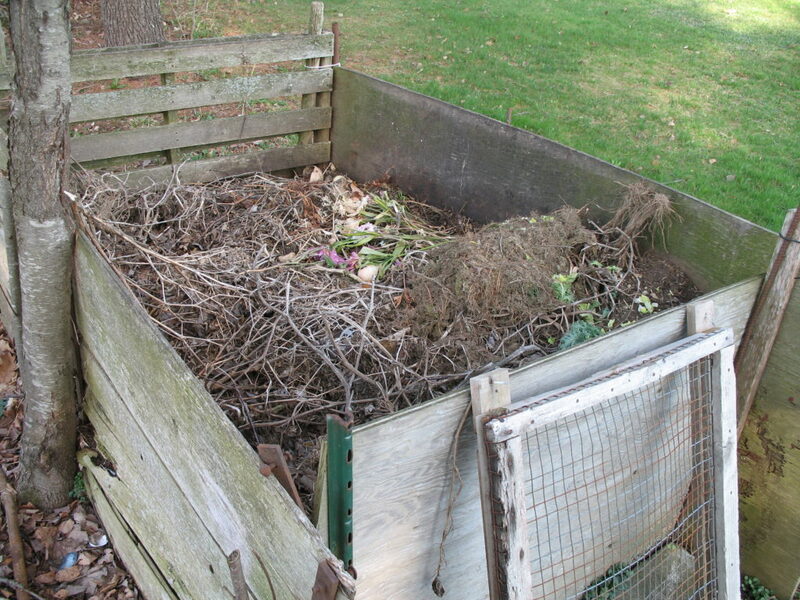 When the majority of your compost pile looks and smells like dark soil, you can sift out the items that are slow to decompose by using a ¼- or ½ inch mesh sheet fastened to a wooden frame, suggests Mark Hutchinson, extension professor in sustainable agriculture for the University of Maine Cooperative Extension. Most literature on backyard composting cautions against composting meat, grease, oil and dairy because the scent of these items can attract rodents and other animals to your home. However, if done correctly, composting meat is perfectly manageable, said Mark Hutchinson, extension professor in sustainable agriculture for the University of Maine Cooperative Extension. Nitrogen is one of the key components needed in a successful compost pile, and human hair is one of the highest nitrogen-containing organic material in nature, according to a study review on human hair waste that appeared in the Journal of Waste Management in 2014. Nevertheless, hair can take a while to break down, so you may need to sift it out and work it through several compost cycles. While hair decomposes very slowly in the atmosphere, if it’s combined with moisture and fungi present in soil and animal manure, it can break down in just a couple months. Some people are opposed to composting anything produced by humans, but in some communities in India, hair has been used directly as fertilizer for many fruit and vegetable crops. And in recent years, small entrepreneurs in the United States are also promoting hair as fertilizer. Sheets, towels and old clothing made out of 100 percent cotton can be tossed in the compost pile; however, it will break down a lot faster if you cut it up into little pieces, which creates more surface areas for microorganisms to do their work. Horse and cow manure are commonly used as fertilizers in gardens, but they aren’t the only animals that can contribute to compost. Waste from any herbivore can be used in compost, Nelson said. This includes goats, sheep, alpacas and other grass-munching livestock, as well as certain household pets such as hamsters and rabbits. And while chickens are omnivorous, their waste can also be used in compost. This list of compost-friendly animal waste does not include the waste of dogs and cats, which can contain a number of diseases, Nelson said. Since compost is often used in vegetable gardens, there would then be a risk of transmitting these diseases through the soil. One downside to using waste from herbivores in your compost pile is the likelihood that the waste contains particularly hardy seeds — namely weeds. A seed often found in horse and cow manure that often survives compost piles is oxalis, or wood sorrel, a common weed found in lawns, Nelson said. To avoid then scattering that weed with the compost, Nelson waits for it to germinate in the compost pile, then flips the pile to kill the plant. He then waits and flips it again for good measure. Another downside if using animal waste in creating compost is the chance that it may contain harmful pathogens, such as salmonella and E. coli. The heat that a compost pile produces can kill off these pathogens, but it will need to be turned multiple times for the heat to reach all of the manure, and even then, there’s no guarantee that the compost pile is completely free of these pathogens. Anything that was once alive is biodegradable. That means that paper, which is made out of wood pulp, will break down over time. To speed up the breakdown of paper, Nelson shreds it up or at least rips it into strips. Paper napkins, paper towels and tissues all break down quickly, while cardboard and thick paper may take longer. Spent tea leaves and coffee grounds are great for compost piles, and so are most tea bags and coffee filters, which are made out of paper. One exception is tea bags made out of nylon. Also, be sure to remove any metal staples holding a tea bag together. Eggshells are easy to compost, according to the University of Maine Cooperative Extension, especially if you break them up, allowing for more surface area to be exposed to the microorganisms in the pile. Furthermore, egg shells are a great source of calcium, which is an essential plant nutrient. So if you’re using your compost to enrich your garden, adding eggshells to it makes a lot of sense. In fact, crushed egg shells also make good fertilizer on their own. While latex resembles many synthetically made plastics, it’s actually a natural substance derived from plants. That means that anything made of 100 percent natural latex will decompose over time. However, it could take years, and if there are any synthetic ingredients in the item, it won’t completely decompose. For this reason, while you can technically break down latex in a compost pile, it’s not very realistic. Aislinn Sarnacki, a staff writer for Hello Homestead, is an avid hiker and wildlife enthusiast who is passionate about conservation and has an interest in self-sufficiency, survivalism, foraging and all things green. She’s the author of two hiking guidebooks and has worked in print journalism since graduating from the University of Maine in 2010. She and her husband live in the woods of Maine, where they collect chaga mushrooms, befriend flying squirrels and struggle to garden in the rocky soil.